Hearing loss is the third most common health problem in this country, behind only arthritis and heart disease, so it’s apparent that a great many people are finding it difficult to maintain good hearing health by the time they reach their later years. It is especially important that good hearing health be observed because a number of studies have discovered a strong link between reduced hearing capability and dementia. Once people in their later years have experienced a significant level of hearing loss, they tend to become less social and less engaged with others, and this is one of the primary triggers for the development of dementia. That being the case, it just makes good sense for every American to do whatever is possible to maintain good hearing health, both for the present and for senior years. While nothing you can do will really guarantee that your hearing remains extremely good as a senior, there are some things you can do which will increase your chances of maintaining good hearing throughout your life. Below are described a few simple things that everyone can do to have a better chance of retaining optimal hearing, now in the future. It’s important to have an understanding of the sound level of your environment, as well as any special environments you walk into. Some of these scenarios include rock concerts, construction sites, and loud noises from city traffic. When you are exposed to situations like these, it’s a good idea to wear ear protection such as foam plugs, which will reduce the level of noise which reaches the middle ear. Keep in mind that anytime your ears are exposed to a situation where extremely loud noises are present, it takes at least 16 hours of quiet in order for the ears to recover from the sensory experience. By placing either a rubber plug or a foam plug in your outer ear, the level of noise can be reduced by as much as 30 dB, thereby sparing the middle ear from significant damage. If you work in a setting which has a consistent level of relatively loud noise, it would be a good idea to take periodic breaks, so that your ears have recovery time. Most people enjoy listening to music on their phones, and to personalize the experience, headphones or earbuds are generally used. If you are in this category, you should make a point of keeping the volume on your device to either low or midrange, especially if you’re going to have the earbuds in place for a prolonged period of time. If you set the volume on high, you run a risk of causing damage to your ears, especially if this is something you do daily, and for several hours each day. A number of studies have linked heart health with hearing health, and it has even been said that the ear is the window to the heart. Being physically active is a great way to maintain heart health, and to keep the heart muscle strong, so as to avoid the many different kinds of disease and other issues which can impact the heart. A regular program of exercise that benefits the heart will also indirectly benefit your ears, so making exercise a priority is a good idea. However, before you embark on any strenuous program of exercise, make sure to consult with your doctor, so that you can be sure of activities which are appropriate to your age and to your health status. One other factor related to maintaining a healthy lifestyle is that you should quit cigarette smoking, and if you haven’t yet started, make sure that you don’t. Researchers have found that cigarette smoking may have a direct bearing on hearing because it affects antioxidative mechanisms as well as the vasculature which supplies the entire auditory system. Avoid physical damage as much as possible by resisting the temptation to put things into your ears, even seemingly harmless objects like Q-tips. If your ear canal becomes scratched somehow, your hearing is likely to be degraded. Sharp objects should never be put into the ears, because these can cause scratches, and can even puncture the eardrum, in addition to causing hearing loss. You should make a point of removing earwax regularly because any kind of buildup will cause the sound to be muffled. 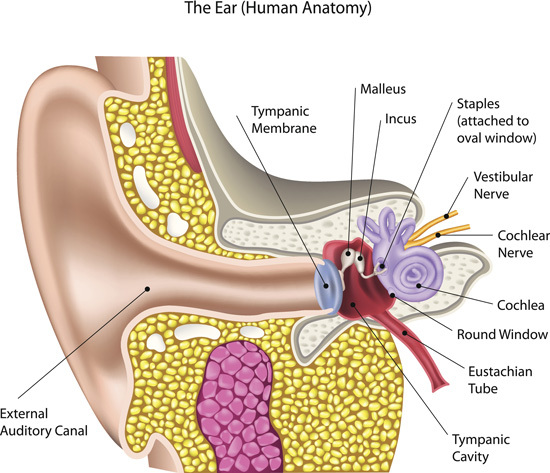 However, care must be used in removing earwax, because cotton swabs may have the undesirable effect of pushing the earwax further into the ear canal, and that may necessitate professional expertise in removing it. Have your hearing checked periodically so that you are aware of any incremental hearing loss since your last checkup. 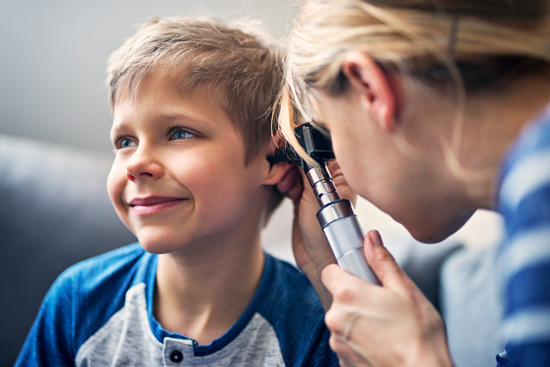 As a general rule, less than 15% of Americans actually have their hearing checked during their annual physical exam – and yet as mentioned above, hearing loss is the third most common health complaint in the country. There are certain medications which can cause damage to the ear, especially those medicines taken by older adults routinely. Prescription medications should all be checked by your doctor to make sure they won’t have any impact on your hearing health. Whenever you suspect that you are observing a sign of hearing loss, it should be reported to your doctor for further examination. Some of these warning signals might include speech which sounds muffled, difficulty interpreting conversation, or frequently requesting others to talk louder. Sometimes you may have difficulty hearing certain consonants, and this may prompt you to avoid conversations. Be aware that such behaviors can be warning signs of hearing loss, and any sign of reduced hearing health should be checked out at an early stage, so it doesn’t have a chance to become significantly worse. Most people are aware that sinus infections and sinus inflammations occur frequently during the springtime and the summer when pollen counts are on the rampage, and seasonal allergies are in full force. However, many people who persistently suffer from allergies can tell you that symptoms don’t always go away when the first freeze of the season hits, and pollen count theoretically takes a nosedive. 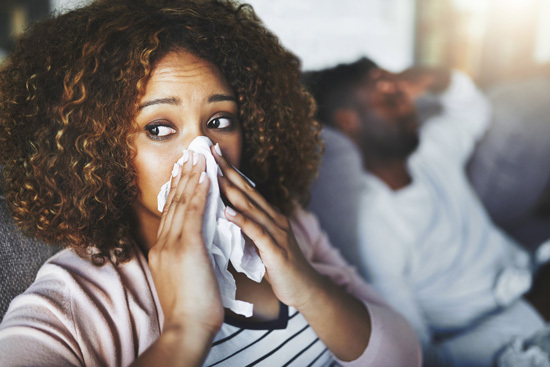 It can still happen that even during wintertime, sinus symptoms such as congestion, postnasal drip, coughing, runny noses, sinus pressure, and troublesome headaches occur with practically the same regularity as they might during spring or summer. There are a number of reasons why this can happen, even in the absence of one of the biggest contributors to allergy symptoms, which is pollen from various plants. Here are some of the reasons why allergy sufferers may be just as miserable during the wintertime. Although they are seemingly innocent sources, holiday decorations such as plants, wreaths, and even Christmas trees and ornaments can trigger allergies, and all the associated symptoms, because of the dust which settles on them, and the mold which may be growing on them. When decorations are stored for an entire year in the basement or somewhere else, it’s very easy for dust to accumulate on them, or for mold to begin growing on them. To prevent this, decorations should be stored in airtight containers, so that when they’re reopened at holiday time, you aren’t introducing fresh allergens into the household. When you bring a Christmas tree into the household, make sure that it has been thoroughly shaken down, so it doesn’t have dried leaves or other material in the branches because these might contain mold. Also, since windows and doors are generally tightly shut during the wintertime, it can intensify the fragrances from decorations and specially scented candles, which can act as irritants for your sinuses. It’s probably best to avoid using scented candles like this during the wintertime when doors and windows keep all those irritants inside. Extra mucus is generally produced when you have a cold or influenza, and it can also cause swelling inside the nasal passages. All this contributes to unusually difficult drainage, which promotes the buildup of mucus. When that happens, bacteria development is sure to follow, and a sinus infection may not be far behind. The best way to avoid getting colds or flu is to conscientiously observe good hygiene throughout the entire wintertime, especially as it relates to washing your hands. You should also make a point of getting plenty of rest to help out your immune system, and when it’s available, you should always get a flu shot to protect yourself against the particular strain which is most prevalent this year. There is always considerably less humidity in the air during wintertime, than there is during summer, and as a result, the air in homes and in offices also becomes much drier. When the breathable air inside a building is that dry, it will have the effect of irritating nasal linings and the lining of the throat, which in turn will also trigger irritation in the sinuses. To avoid the predominately dry air of wintertime, remember to use a humidifier to increase the moisture level in breathing air throughout the home. A good rule of thumb is to set your humidifier for about 50% humidity, so that dryness doesn’t bother your sinuses and trigger symptoms which are going to make you miserable through the holidays. It happens quite frequently that pet dander, dust, and other allergens become trapped indoors during the winter time, due to the fact that doors and windows are routinely kept tightly shut to keep the cold out. While it can be a bit of an undertaking to ensure that all these allergens are removed or suppressed, it will be worth it, in terms of your ability to enjoy the holiday season. In the case of pet dander, you should make a point of bathing your cat or dog at least weekly, because allergens will naturally be attracted to fur, and they’ll stay there until removed. If you allow your pet to go outdoors regularly, you may want to perform the bathing routine even more frequently, because every time your pet goes outside, it will be a magnet for whatever’s floating through the air. To eliminate, or at least reduce allergens elsewhere in the home, you can take such steps as vacuuming the carpets thoroughly, especially using a vacuum with a HEPA filter, that can pick up even the smallest allergens. You should also vacuum furniture and draperies to remove allergens which may have built up on those surfaces. It’s a good idea to dust all around the home every few days, but when you do this, it should be with a damp cloth that retains the allergens, rather than using a feather duster which will simply relocate any allergies present. Lastly, by changing your own clothes whenever you’ve come inside from the outdoors, you can be relatively sure you aren’t tracking in a number of allergens, which will be lying in wait to torment you during the wintertime. Every time the fall season rolls around, millions of Americans are affected by fall allergens, which can cause a number of very uncomfortable symptoms. Some of these include itchy, watery eyes, persistent sneezing, feelings of fatigue and or nausea, and sometimes even headaches. Most of these symptoms will last in varying degrees until the first frost of the season arrives, to put an end to pollen which gets circulated throughout the air and into homes. The most common kinds of fall allergens are discussed below, along with some recommendations on how you can avoid being affected by them. Ragweed is a plant which begins blooming in August, but which doesn’t really produce allergic symptoms until mid-September, and on into the next month. Once the first freeze arrives, the ragweed plant will be killed, and no further discomfort will be caused to allergy sufferers. However, until that first freeze arrives, all of the symptoms mentioned above can be experienced in full force, making life miserable for an allergy sufferer. Something like three-quarters of all people who experience springtime allergies will also be affected by the pollen from ragweed, according to statistics maintained by the Asthma and Allergy Foundation of America. The best way to deal with ragweed is to maintain awareness of the local pollen count, which is usually broadcast by local television stations during the segment dealing with the weather. To the greatest degree possible, you should try staying indoors, especially during those hours which are the peak time of activity for pollen circulation. These times are considered to be all those hours from mid-morning up to about mid-afternoon. You should also keep your windows and doors closed in the house, as well as when you’re traveling in a car or other vehicle. Vacuuming rugs and upholstery is a good idea because any pollen which has penetrated the interior would likely settle on these. Washing your linens, clothes, and draperies will help to remove any pollen which has settled on them, and you should make a point of changing your clothes whenever you come in from the outdoors. Pollens attach themselves to all kinds of clothing very well, and that means you could be the agent of your own discomfort by bringing them into the household. If you have pets in the home, they should be bathed at least weekly, especially if they go outdoors at all, because there fur is natural for collecting pollen. Mold and mildew tend to develop and proliferate in areas which are subject to damp conditions, and these can include bathrooms, kitchens, and especially basements. Basements are somewhat likelier environments for mold and mildew to grow in, simply because they may not receive the same level of attention that bathrooms and kitchens do, in terms of cleaning and keeping them dry. Unlike things like ragweed, mold and mildew are not killed off when the first frost arrives, because obviously, they are not plants. However, the good news is that both these contaminants do tend to go into dormant stages during wintertime. You should not rely on the fact that they are more dormant in the wintertime though, because they will spring back to life when the weather warms up, and that means you’ll be bothered by them all over again. It’s much better to root out mold and mildew wherever it exists in your living environment so that it doesn’t come back to plague you in the next warm season. You can start by removing leaves from the gutters around your house, and by raking up all the leaves which have fallen from trees. These should not be left in piles around the home but should be disposed of by some means, so that mold and mildew don’t develop on them. In the house itself, use a dehumidifier to remove excess moisture from the air, which will inhibit the growth of mold or mildew. This is especially true of the basement environment, again because it generally receives less attention than the upper rooms of the household. Ideally, the humidity level in household rooms should be maintained at between 35 and 50%. Make a point of cleaning the kitchen and bathrooms regularly, using anti-mildew cleaning agents that will prevent any kind of build-up in those rooms. The bad thing about dust mites is that they are not limited to the fall season, and they can bother allergy sufferers all year round. They thrive in temperatures which are somewhere in the range of 64°F to about 76°F. When the temperature dips below the 60’s or rises above the 70’s, dust mites will usually die off, and the same is true when the relative humidity falls below 70%. This being the case, one of the most effective things you can do to rid your household of dust mites, is to ensure that the humidity level in the home is well below 70%. Although the temperature of the interior of your household will not be any deterrent to dust mites, the humidity level will be, if you can maintain it well below 70%. Using a dehumidifier, and setting it between 35 and 50% will do the trick, and it will ensure that you’re not bothered by dust mites in the home. Almost half of all people who have seasonal allergies also have to deal with pet allergies, which are triggered by your immune system reacting to contact with saliva, for, dander, or urine from your pets. The most effective way of dealing with dander and fur allergies is to simply avoid contact with furry animals. If this is not feasible for you, you should at least make a point of washing and grooming your pets regularly, and then confining them to specific rooms within the household. Don’t allow your pets on furniture where allergens can be transferred to you when you use that furniture. In the case of cats, make sure to keep litter boxes away from air vents, which will circulate allergens all throughout the home. The salivary glands are important as they provide moisture for the mouth and they aid in digestion. If they become clogged they can cause a great deal of discomfort. Saliva is the fluid which keeps your mouth moist, shields your teeth from harmful substances, acts as an aid to digestion, and aids with the swallowing process. The glands which produce saliva are known as the salivary glands, and the fluid which is produced in them is carried into the mouth via small tubes which are known as ducts. In addition to these three major pairings, there are actually hundreds of minor salivary glands which are situated throughout the throat and the mouth. Problems with either the salivary glands or the ducts are generally recognizable as dry mouth, fever, pain, glandular swelling, and sometimes an unpleasant drainage which accumulates in the mouth. 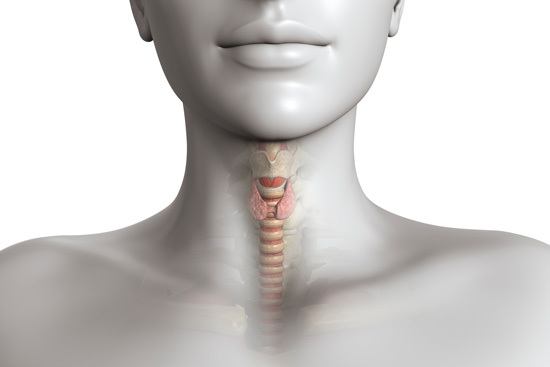 There are a number of possible causes of salivary gland problems, some of which are situated in the glands themselves, and some of them constituting blockage of the ducts so that saliva drainage is disrupted. One of most common causes of swollen glands is salivary stones, which are crystallized saliva deposits that manage to accumulate in the glands. These can often prevent the flow of saliva, and when that happens, saliva backs up into the gland, forcing the gland to swell, and causing discomfort. Pain is usually sensed in one gland or the other and is intermittent in nature, but it will get progressively worse until the blockage is cleared, and if it is not cleared promptly, the salivary gland can then become infected. Whenever swollen salivary glands go untreated, they will very likely cause high fever, severe pain, and a collection of pus known as an abscess. Infections of a viral nature such as flu or the mumps can also cause salivary gland willing. When swelling of this type occurs in the parotid glands on both sides of your face, it can give the appearance of full cheeks like those of a chipmunk. This kind of salivary gland swelling is quite often associated with mumps since it occurs in as many as 40% of all mumps infections. When salivary glands get clogged they can produce a build up and cause headaches and severe pain. Other types of viral illnesses which may trigger swelling of the salivary glands are human immunodeficiency virus (HIV), Epstein-Barr virus (EBV), cytomegalovirus (CMV), and Coxsackie Virus. When these kinds of viruses occur, they are generally single-sided gland swelling and are usually accompanied by pain and fever. The risk of developing these kinds of bacterial infections rises when a person is dehydrated or is suffering from malnutrition. Large cysts are generally treated with surgery since these cannot generally be handled with medication. However, some other types of salivary gland problems do respond to medication, for instance, bacterial infections, and these can effectively be treated with antibiotics. Other problems such as dry mouth can also be treated with medications. Meniere’s Disease: What are the Treatment Options? Ménière’s Disease occurs when cochlear pressure increases due to fluid buildup and can produce dizziness and vertigo. The medical condition known as Ménière’s disease is characterized by severe dizziness or vertigo, a ringing which is sensed in the ears (tinnitus), and a sensation of fullness in the ear. Most commonly, this disorder affects only a single ear at a time. It can develop at any age but is far more likely to occur in adults aged between 40 and 60. The National Institute on Deafness and Other Communication Disorders (NIDCD) estimates that somewhere around 615,000 persons in the U.S. currently are afflicted by this disorder and that each year there are approximately 46,000 new cases which develop. Some people experience Ménière’s disease as attacks of dizziness, which either occur suddenly or following a brief period of muffled hearing. 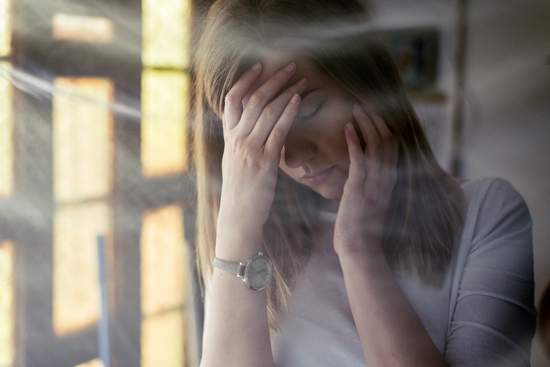 Sometimes these attacks are experienced one after another, for days at a time, and in other cases, people experience standalone attacks of dizziness, followed by episode-free periods. In some cases, attacks of Ménière’s disease can cause such extreme vertigo that the person afflicted will completely lose their balance and fall spontaneously. What Exactly is Ménière’s Disease? The symptoms attributable to Ménière’s disease are generally caused by an accumulation of fluid in those sections of the inner ear which comprise a structure known as the labyrinth. This labyrinth is home to the organs responsible for balance, which are the semicircular canals and the otolithic organs. The labyrinth also contains the organs responsible for hearing, known as the cochlea. Compositionally, the labyrinth has two distinct sections, referred to as the membranous labyrinth and the bony labyrinth. The membranous portion has a fluid called endolymph, which stimulates certain receptors coincident with body movement. Those receptors then transmit signals to the brain, relative to the movement and position of the body. In the cochlea, whenever sound vibrations are sensed, fluid compression occurs, and that triggers sensory cells to send data signals to the brain. When a person is troubled by Ménière’s disease, the endolymph accumulation in the labyrinth disrupts normal balance, as well as the signals which are transmitted between the inner ear and the brain. 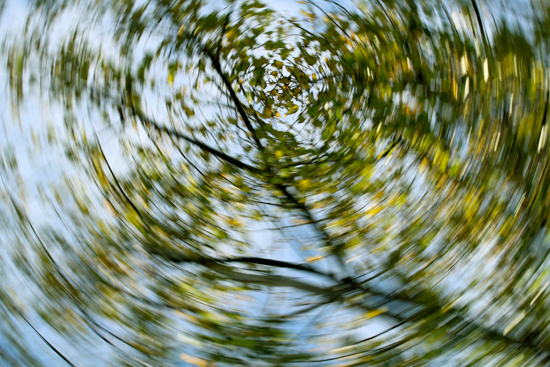 As a result, the affected person experiences vertigo and some of the other symptoms caused by Ménière’s disease. Scientists and doctors are unsure of what the triggers are for this disorder, so there are various speculative answers which professionals ascribe to. Some believe that it is caused by blood vessel constriction similar to that which occurs during migraine headaches. Others believe that the causes of the disease are more attributable to autoimmune reactions, allergies, and viral infections. It has been noted that Ménière’s disease seems to recur in specific families, leading other scientists to believe that genetic variations may be the primary cause of the affliction. The primary method for diagnosing Ménière’s disease is by observation of the symptoms generally associated with the disorder. Medically, these are considered to be the presence of tinnitus, a temporary hearing loss, the sensation of fullness in the ear, and at least two episodes of vertigo which persist for a period of 20 minutes or more. A special doctor known as an otolaryngologist will generally be charged with diagnosing the condition, and since this kind of doctor is a specialist with ear, nose, and throat, he/she is best equipped to make the diagnosis. 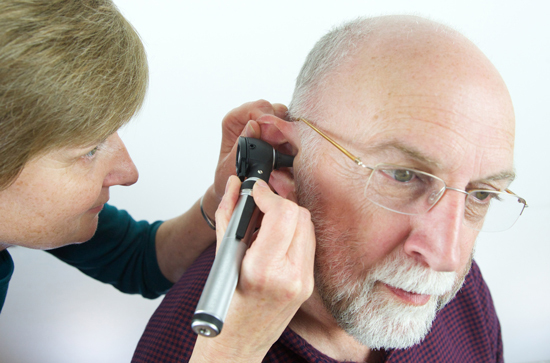 At the time of examination, a patient may be administered a hearing test to determine the extent of any hearing damage. It’s also possible that a doctor would request MRIs or CTs, to scan the entire brain. The dizziness and vertigo associated with Ménière’s Disease can seriously affect your day to day life. 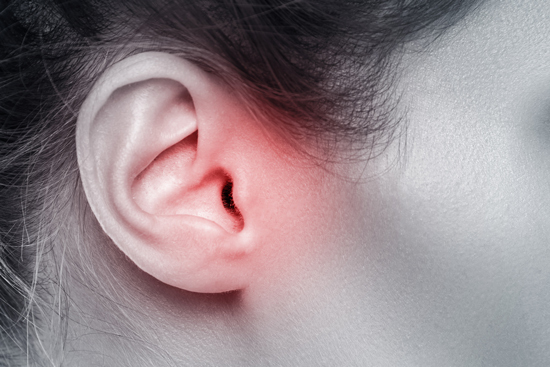 injections – sometimes an injection of antibiotics into the middle ear helps to control vertigo experienced by a sufferer, but this is not commonly recommended, because it can promote hearing loss. What are the Causes of a Persistent Stuffy Nose? Chronic nasal congestion can affect your daily life however, there are effective treatment options available. Practically everyone has had to deal with a stuffy nose or nasal congestion as it is referred to medically, at various times throughout their life, and it’s never very pleasant. If it’s severe enough, it can make you feel like you can’t breathe through your nose, and must take in air through your mouth instead. A stuffy nose can also make it difficult to get to sleep at night, it can trigger headaches, and if it persists long enough, it can leave you physically drained and fatigued from having to deal with it. Since the symptoms associated with nasal congestion can be fairly severe, it’s worthwhile to try and understand their causes, with an eye toward prevention, or at least remediation of the worst symptoms. external irritants such as the smoke from tobacco, or from other airborne pollutants. when the affected persons are small children or babies, try using a bulb syringe to extract any nasal secretions. Saline solution can be administered through the nose with a specialized spray bottle. While home remedies can be at least somewhat effective, there are times where they simply won’t do the job, and it becomes necessary to seek medical attention. If the nasal congestion condition persists for more than 10 days or if it becomes chronic, that’s a sign that home remedies are going to be insufficient for effecting a cure. That’s when it’s time to call your doctor and make an appointment to have your nasal congestion examined, to determine the real cause of the problem and get some proper relief. There are other times when you shouldn’t wait for 10 days to elapse but should call your doctor right away because more pressing symptoms appear, and the level of urgency is increased. nasal discharge has a greenish or yellowish color and is accompanied by either a fever or severe sinus pains. Some of the best treatments for nasal congestion are available over-the-counter without a prescription from your physician. Decongestants help to diminish the swelling and nasal passages, and they can ease that sensation of sinus pressure and stuffiness. There are a great many of these available over-the-counter, and whichever one you choose, you should carefully follow all directions printed on the label. You shouldn’t use an oral decongestant for longer than a week unless you have consulted with your doctor about it. Nasal decongestants should not be used for longer than three days, or they may end up contributing to your congestion instead of diminishing it. If you have any other health problems besides your nasal congestion, you should check with your doctor about the advisability of taking a decongestant. Antihistamines are another effective medical tool for combating nasal congestion, particularly if your nasal congestion is due to an allergy. By controlling the allergy, all other symptoms should be relieved to some extent. When you go shopping for an antihistamine, look for one which relieves sneezing and sniffling, and which includes a decongestant to manage sinus pressure and the congestion itself. Some multi-symptom cold medications contain antihistamines to relieve the runny nose part of your problem. If you are bothered by difficulty sleeping, it might be a good choice to purchase a night-time cold medicine, because these can help manage the symptoms effectively, so that you can get a good night’s sleep. A third option for relief of symptoms surrounding nasal congestion is a pain reliever. These won’t do anything to help clear up congestion, but they can definitely diminish pains which are associated with sinus pressure. As with both decongestants and antihistamines, you should carefully read the printed instructions on the label before using.